The Dodgers’ offense finally woke up a bit in a 5-1 win in San Diego on Wednesday night. They recorded the most hits (nine) in a game since March 23 in Australia (13). Carl Crawford led off with a double, followed by a Yasiel Puig bunt up the first base line. The play was almost challenged by the Padres, but manager Bud Black thought better of it. Hanley Ramirez came through with a grounder down the left field line for a 2-run double. Ramirez came into the game in a 1-for-15 slump. Adrian Gonzalez followed it up with an RBI single off Padre starter Tyson Ross. 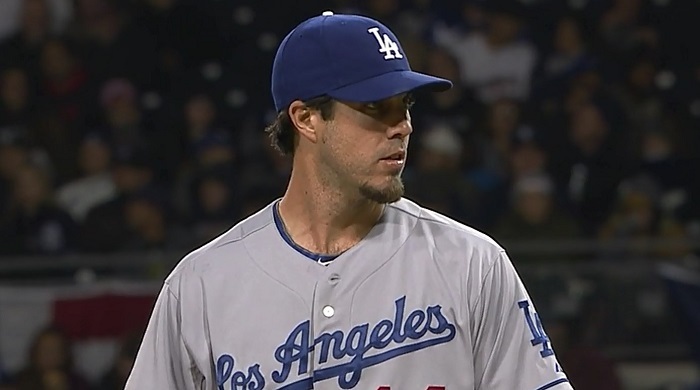 Haren retired the first nine batters he faced, just like Zack Greinke did the night before (was actually 10). Haren ran into a little trouble in the fourth inning, just like Greinke did. He allowed a run on two singles and a questionable catcher’s interference call. Haren came back to strike out Jedd Gyorko and Will Venable (favorable strike three call) to get out of the inning. He threw 63 percent (58 of 92) of his pitches for strikes, but wasn’t sharp the entire night. However, it was good enough to help the Dodgers win their fourth game of the season. 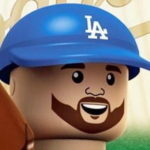 Despite the offensive “outburst,” the Dodgers’ 3-4-5 hitters (Ramirez, Gonzalez and Andre Ethier) are a combined 8-for-55 (.145) through five games. That’s going to have to improve going forward — and it will. Also, the Dodgers should be getting Matt Kemp this weekend, so it will definitely change. It was a pretty dull game otherwise. The Dodger bullpen threw three scoreless innings, with Chris Perez pitched the final frame without incident. I have a feeling it would have been him — not Kenley Jansen — regardless of the score. Jansen had a rough go of it last night and has pitched in three of the five Dodger games thus far. Also, this was the 11th consecutive game in which the Dodgers have held the Padres to three or fewer runs in a game. The Dodgers make the long trek back to Los Angeles and are rewarded with an off day on Thursday before starting their first series of the 2014 season against the Giants. Hyun-Jin Ryu takes the hill against Ryan Vogelsong. Previous Dodgers @ Padres April 2, 2014: Who is Carlos Triunfel?